Walter O'Brien, the Entrepreneur and hacker made famous by CBS' television show, Scorpion, is a long way from his humble beginnings in rural Ireland. Now an executive producer at CBS as well as the founder and CEO of Scorpion Computer Services, Inc., a global "think tank for hire," he has made many friends in television and business while also drawing several critics. O'Brien claims that at the age of 13, he hacked into NASA servers administered by the NSA to get his hands on a blueprint of a space shuttle to hang on his bedroom wall. After listening to O'Brien on a podcast, I emailed his representatives for an interview. O'Brien responded to an email that revealed a past that confronted school yard bullies and showed he built a unique business that was ready for television. The Irish native has had his hand in contributing to the direction of technology through translation software that later sold to a Microsoft subsidiary. He believes that India with its general culture of respect for intelligence and academics will evolve exponentially. Come Monday night there will be an all-new episode of "Scorpion" airing on CBS, but before that rolls around we have something to bring you that we consider to be a real treat: An in-depth interview with the man whose life made this show possible at all: Walter O'Brien. The real man behind Scorpion Computer Services, Inc. is at the forefront of solving a wide array of software and cyber-security problems, and in many ways he feels like the show is a platform to not just promote his company, but also to reach out and inspire many people who are either thinking about careers in science / technology fields or have extremely high levels of intellect. He's helped solve problems for a wide array of companies, and will continue to do so with his team for many years to come. Here are the transcripts from the interview. How did you earn the nickname 'Scorpion'? O'Brien: As a youth, I and most of the other smarter kids in school got picked on by bullies. I was a big guy - even at a young age - and would take the beatings for my friends, who were often smaller and scrawnier. I begged my parents to enroll in martial arts and learned what I could. So in one particular incident I was just fed up with the taunting and the physical abuse, so I retaliated, fought back and won well enough so that there wouldn't be a rematch. It's common in rural Ireland to pick up a nickname that relates to an animal, bird, or a spider. Mine became "scorpion" because I fought back, and scorpions are docile creatures until pushed too far. It's also known that scorpions are very loyal to their group - called a cyclone - and I characterized that trait as well. How have Scorpion Computer Services, Inc., offerings evolved over time? O'Brien: I started the business as a computer consulting business, which coupled to my nickname, Scorpion, formed the full name Scorpion Computer Services. A few larger financial institutions in Ireland got wind of my problem solving skills with computers and hired me to work on and implement their systems. When I came to the U.S. on the EB1-1 visa I rapidly expanded the Scorpion team to service a number of requests outside of computers. Today, Scorpion Computer Services is much more diversified outside of computer and IT consulting, tackling opportunities in risk management, physical security, special-situation financial opportunities, oil and gas, clean energy technology, water services, and wealth management. How did Concierge Up come up with the hit CBS television show, Scorpion? O'Brien: Concierge Up provides services like a rent a brain vending machine. People typically concierge "down" routine or menial tasks. But what if people could "concierge up" tasks to people with high IQs? As Scorpion Computer Services' business grew, we presented the question: How do we attract more bright people to contract with our company to work on interesting projects? The Concierge Up response was a television show that could last for ten seasons, compete with CSI in the ratings, and inspire a whole generation to see that "smart is cool." We connected with Scooter Braun, part of the brains behind Justin Bieber, who shopped it to CBS, the number one network. And Scorpion, the television show, was born. Tell us about WinLocX and the Microsoft acquisition. O'Brien: At Sussex University I developed a system called WinLocX to help with the process of translating software into foreign languages. It fit within a world that was globalizing, with software companies that wanted to be able to sell their English-language software in non-English-speaking countries. The development of WinLocX led me to consulting work at Oracle, which spun off a division named Uniscape. Uniscape brought me on board as their product manager to build and sell globalization software systems. Meanwhile, one of the companies that needed and used globalization software, Microsoft, acquired a 20% stake in a company called Trados which became the subsidiary Microsoft-Trados. In May 2002, Microsoft-Trados bought Uniscape. Today the combined company is owned by SDL and makes nearly $200 million annually. You've supported a number of causes, including XPRIZE, BritWeek, and TaxiWatch Kilkenny. Tell us about those. O'Brien: In 2015, I served as part of the Visioneering team that decides the next XPRIZE. I volunteered as the on stage facilitator for a solution at the world's largest ALS conference for Steve Gleason. BritWeek is a non-profit that supports innovation and serves as a bridge between California and Britain. I was a celebrity judge along with actor Ioan Gruffud (Titanic, Fantastic Four) at the Code for Kids Hackathon. Taxi Watch Kilkenny also has a special place in my heart. I provided the seed funding for a program that trains taxi drivers to identify possible suicide risks and coach people down from taking their own lives. It's been reported to me that the program saved over fifty lives last year, and it is turning into a city-by-city Irish movement. I'm proud to be part of that. In just the next two months, for example, I'll be the keynote speaker or a celebrity guest at Houston's Code Wars, at Project Echo in Los Angeles, and Introduce a Girl to Engineering Day in Virginia. It's an important part of my life to give back. And one way I can do that well is by helping students get engaged in STEM subjects, computers and programming. Have you invested in India? 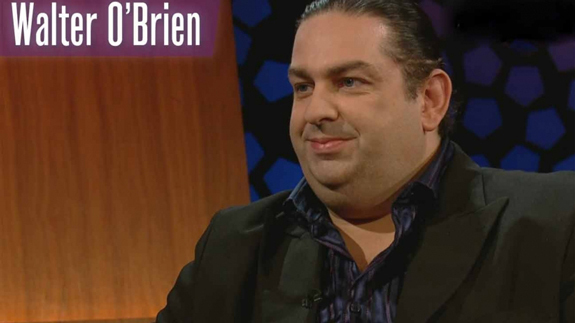 O'Brien: Yes. Scorpion Computer Services has been involved directly and indirectly in both public and private investments in India-based companies since the early days of WIPRO and TATA. What sort of opportunities do you see in emerging markets like India? O'Brien: With the population level and general culture of respect for intelligence and academics, I believe India will continue to evolve exponentially. Have you hired Indian programmers? O'Brien: Yes, Indians always seem to comprise a significant percentage of any mid- to large-sized development team. I have had very good experiences working with Indian resources specifically in the quality assurance automation field.